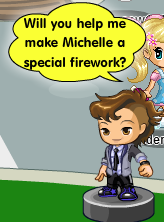 You can also buy a new waiter costume and ones from older events. There is also a new comic that you can read. 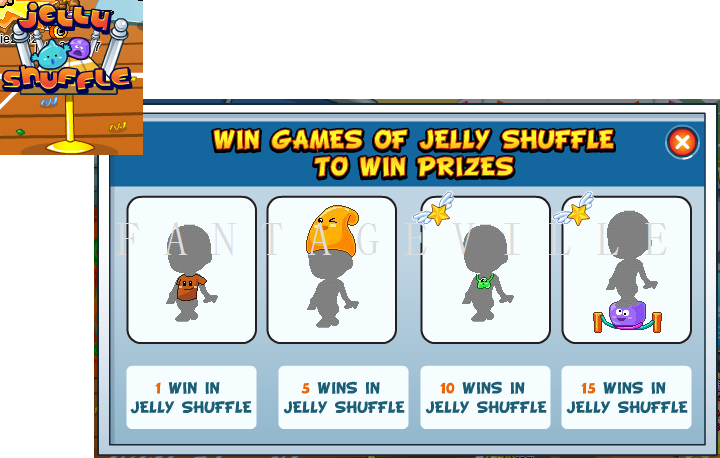 On Sea Breeze, you can win prizes for playing Jelly Shuffle during this event. 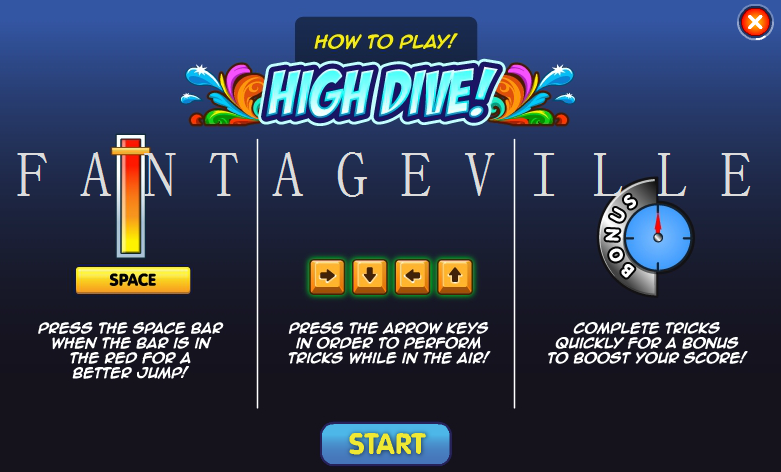 There is also a new game on Sea Breeze called High Dive. 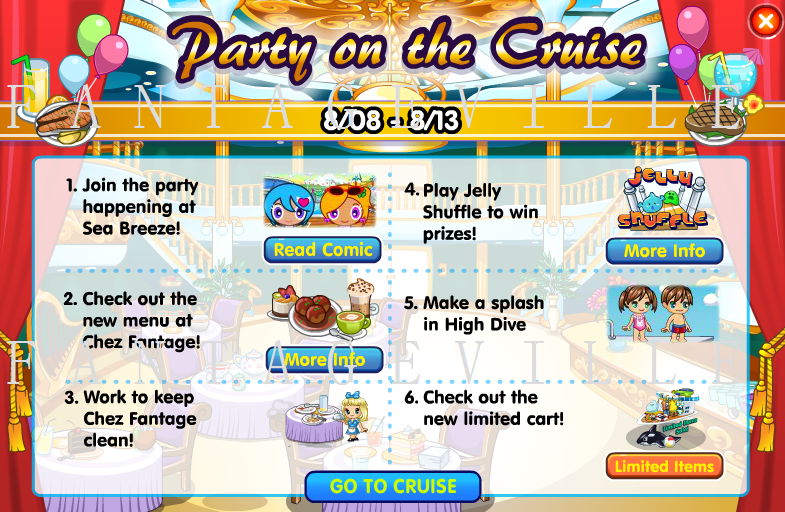 Basically, you wait till the bar goes up to the red, and click your space bar to jump off the diving board. Then it tells you specific arrow keys to press to do tricks. If you miss one, you fail the dive. It’s very simple. 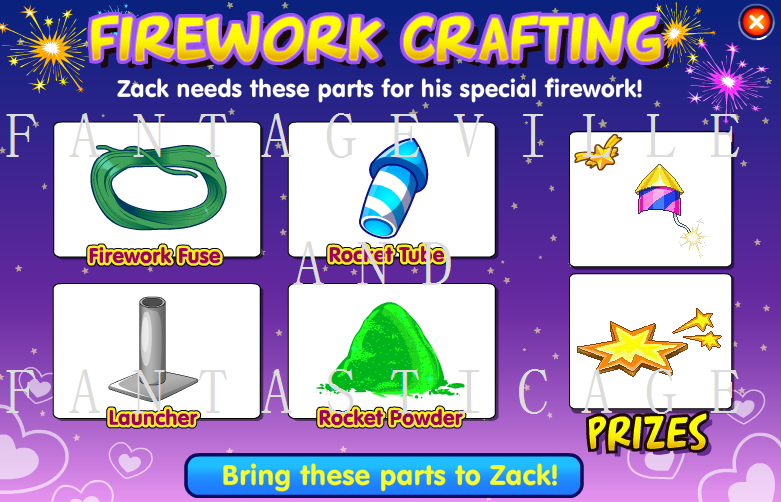 Also, there is a new menu. The more you serve, the more you level up. 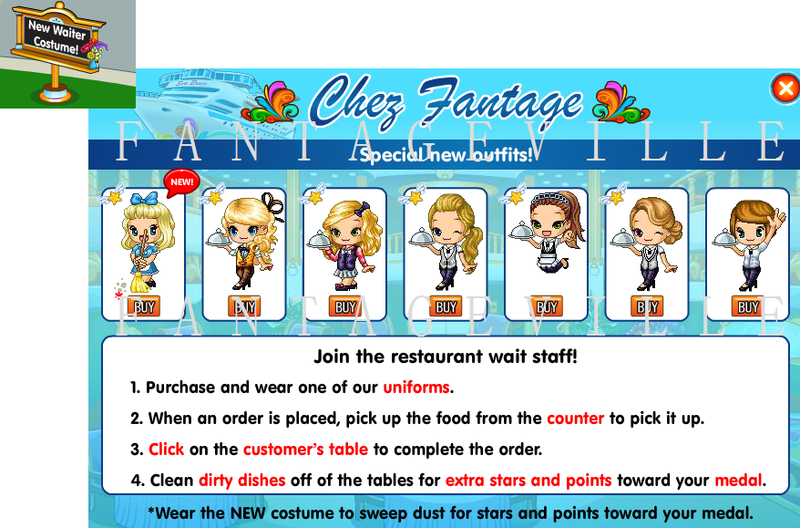 And with the new cleaning costume, you can get extra stars from cleaning dirty dishes from tables. 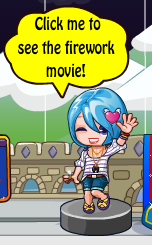 Ok, you guys already know this by heart. Limited Item Cart at Uptown and downtown. 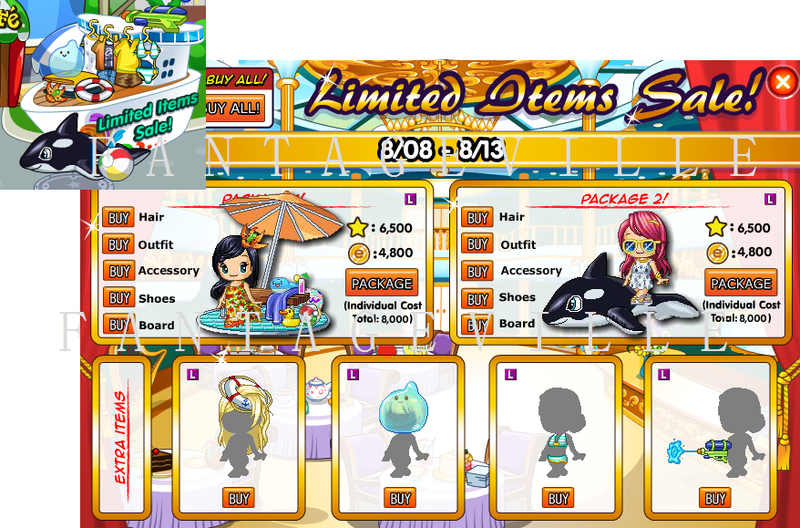 You can still buy all the old costumes from the Mermaid event . 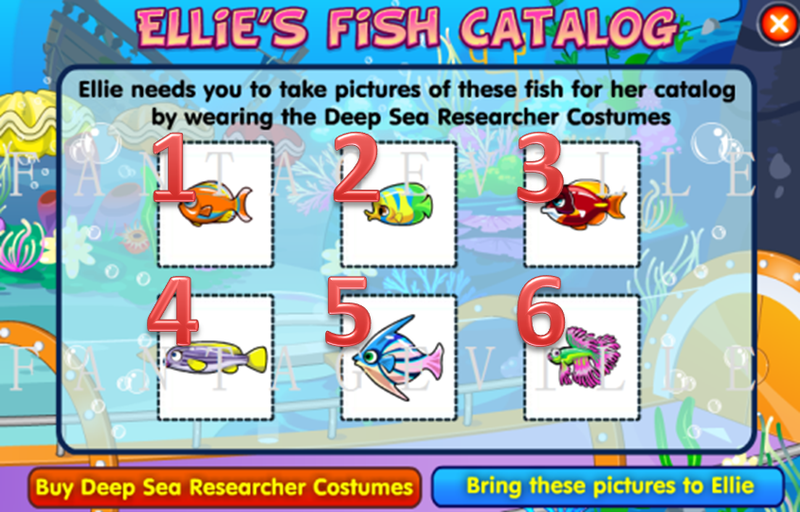 There is a new costume for doing underwater research for Ellie. 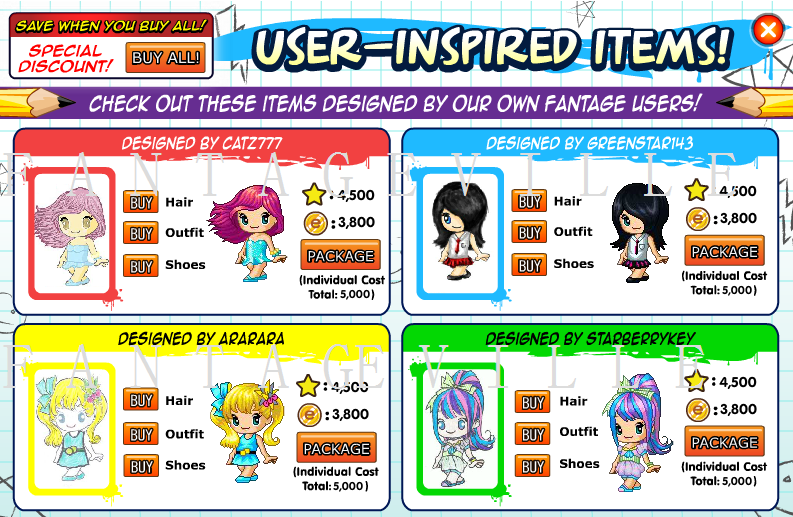 Buy these by clicking on this button at the TOP of the screen. 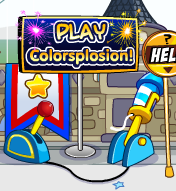 I’m not sure if this is permanent, but the Mini Quiz and Daily Spin buttons have all been moved up here as well. 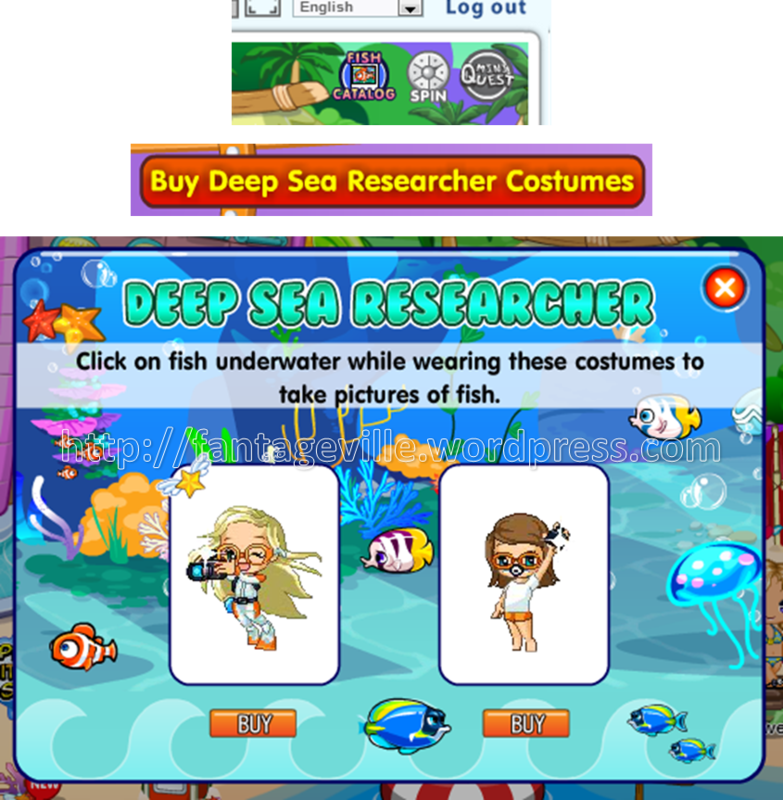 You must have an underwater costume to go underwater. 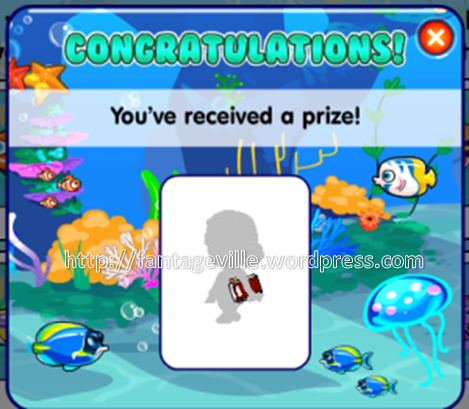 If you don’t want this one, you can buy other underwater costumes from other events at High Tide, or go to underwater place. However, if you want to take snapshots of fish, you must buy this one. 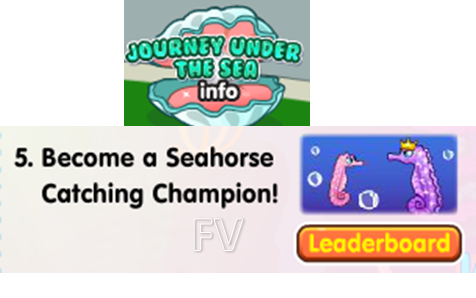 Compete against other Seahorse catchers and win prizes! 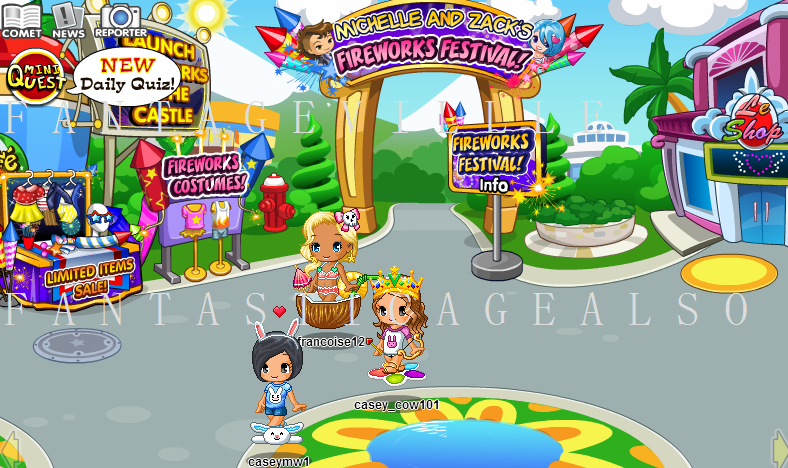 Click on the Event Info Clam, and see the Leaderboard. 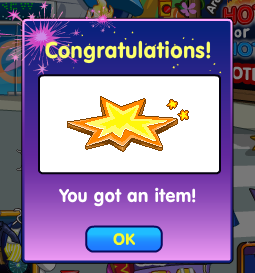 If you beat that person’s score, you will get the items! 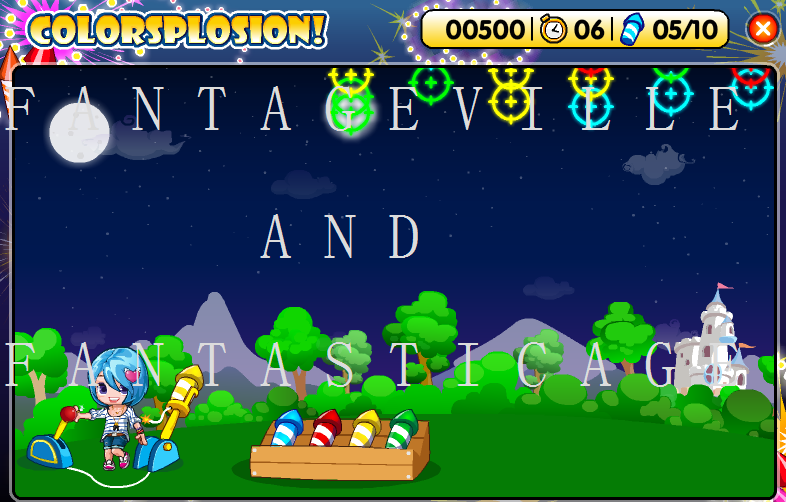 The earlier you do this, the easier, because the high scores will be lower. The fish are all in that little underwater area. To get there, just go through that glass elevator. Yes, it is very small. 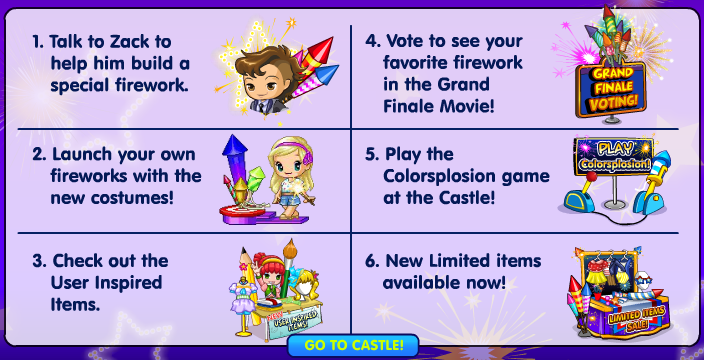 Here are the locations. 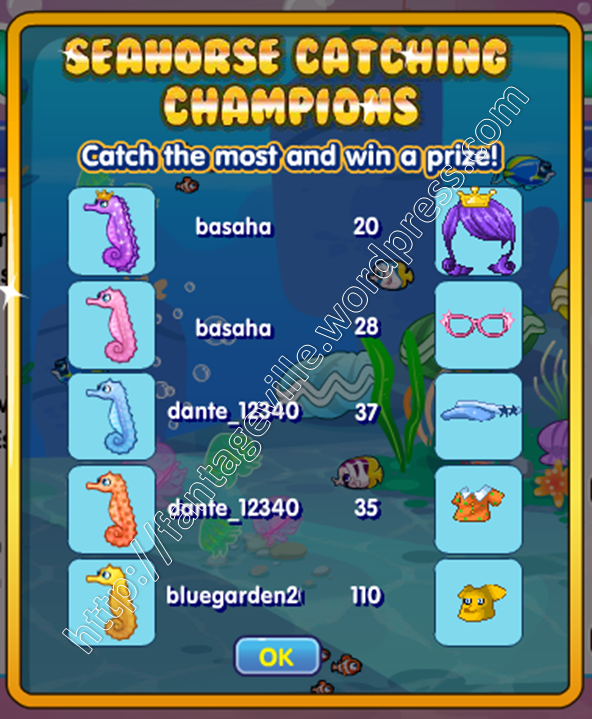 I put a red circle around all of the fish below and put a red number next to it that matches to the numbers in the picture above. 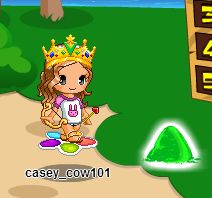 It’s very small because the picture is so wide, so click on it to make it bigger. 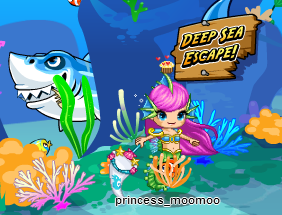 Click on the Deep Sea Escape sign in the Underwater Tunnel to start. 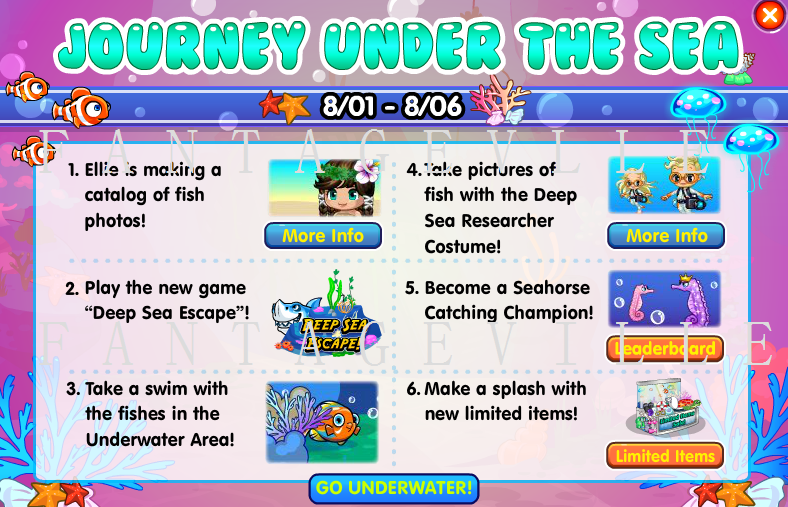 Keep pressing the right arrow to swim forward, and the up/down arrows to dodge the sea urchin, puffer fish, jelly fish, and octupus. 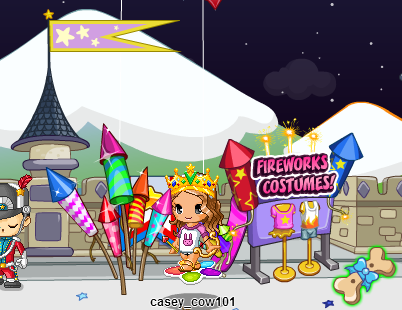 Collect the stars on the way to get extra points. There’s also a meter at the top to tell you how far you’ve gone. 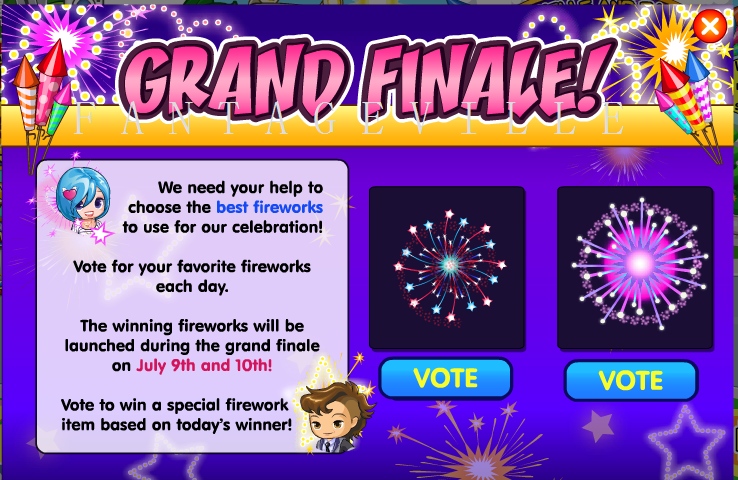 That’s it for this event, so have fun! Hi, I am a new author, as you know. 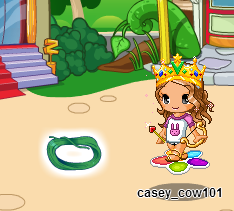 My name is casey_cow101, and I used to a be a member on Fantage. 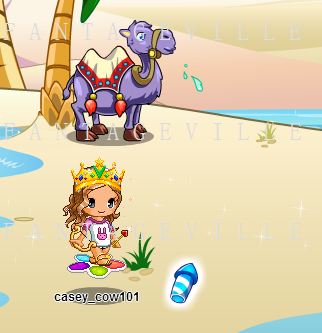 I run Fantageville with princess_moomoo, and I like cows, art, and clothes. Yea that’s all you need to know about me.